Last March Herod Layne took a flight up to Canada for a small tour. One of these gigs was a performance in the Canadian Music Week Festival in Toronto, together with bands like Venus Flytrap from Netherlands and The Beautiful Taste from Spain. After the festival they took the road eastwards to play in Ottawa, Peterborough and Montreal, and then headed back home. The trip was documented in a road movie called Je Me Souviens… directed by Sacha Leite Ferreira. The film features the band members talking about the gigs performed in Canada and their experience as being an underground band playing abroad for the first time. 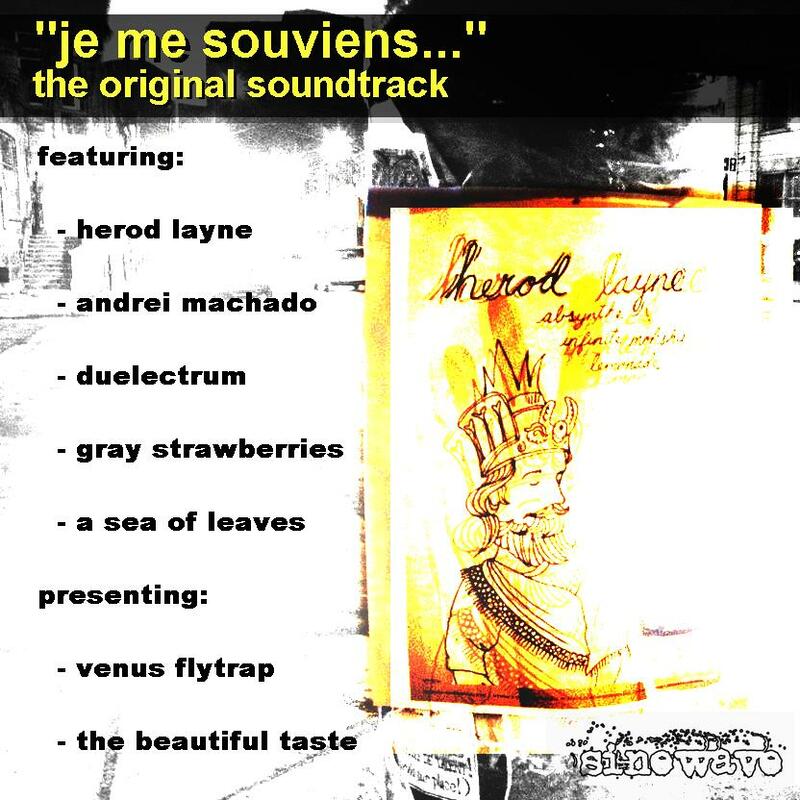 Je Me Souviens… Original Soundtrack presents songs featured in the film from artists like Andrei Machado, Duelectrum, Gray Strawberries and A Sea of Leaves, together with festival partners Venus Flytrap and The Beautiful Taste. In addition, a live version of “Walking The Valley” recorded at The Spill Coffee Bar in Peterborough, ON.